A unique and revolutionary text which explains the principles behind the LT Method (2.1), a manual design tool developed in Cambridge by the BRE. The LT Method is a unique way of estimating the combined energy usage of lighting, heating, cooling and ventilation systems, to enable the designer to make comparisons between options at an early, strategic stage. 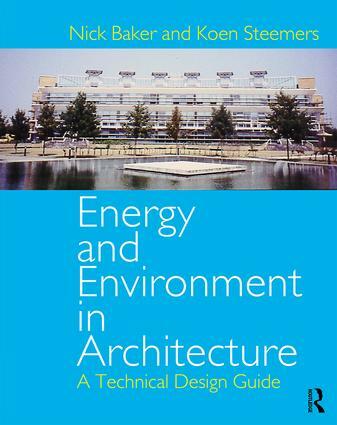 In addition,Energy and Environment in Architecture the book deals with other environmental issues such as noise, thermal comfort and natural ventilation design. A variety of case studies provide a critique of real buildings and highlight good practice. These topics include thermal comfort, noise and natural ventilation.